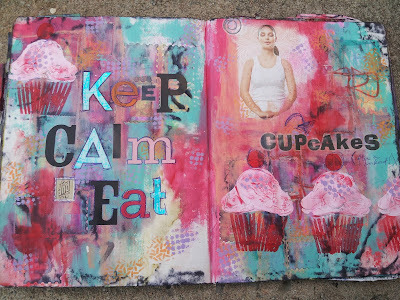 ***Journal Artista***: StencilGirl Talk Cupcake Sprinkles Blog Hop! 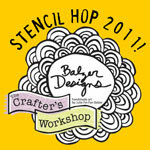 StencilGirl Talk Cupcake Sprinkles Blog Hop! Welcome to another StencilGirltalk blog hop! After creating a random background that matched the pink theme (I was drooling over Red Velvet cupcakes! ), I chose to add a little dimension and added texture to the page. Step one is to mask off the desired area. Use sticky notes to cover areas you don't want the modeling paste to get into. Masking can be used for any medium you choose with your stencils! I then set this aside. I chose a Tri Art modeling paste. You can use this straight out of the jar, however I wanted the icing to be pink. 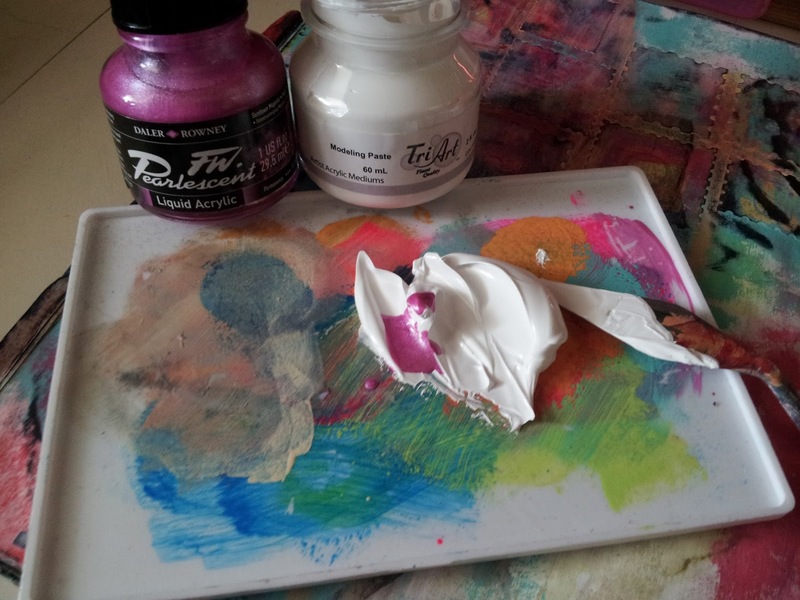 I chose a pink FW acrylic ink however you can mix this medium with any acrylic paint as well. I scooped a bit out with my palette and added a dropper full of ink. Mix together with a palette knife. Spread the modeling paste over the stencil with the mask in place. The consistency of modeling paste is like peanut butter which enables any stiff peaks and texture you create to remain. It dries to a very hard acrylic, however it takes a very long time to dry. I choose not to use a heat gun to speed up the process as I find it can bubble and create a crust. The above photo shows what the paste looks like after applying over the stencil. Carefully remove the stencil. I repeated the process three more times, carefully avoiding touching the wet molding paste. Clean your stencil right away! I love how these turned out! After seeing this I realized this stencil would also be an awesome ice cream scoop. Finish with dabbing acrylic paint for the cup, sprinkles, and cherry. I used a make up sponge to highlight the peaks with a little paint as well. I also used the sprinkles as random texture, dabbing a bit of paint here and there on the page to tie it all in together. Letter stickers were applied for the title. 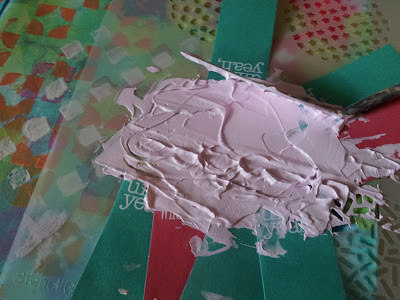 This technique can be used on any type of project including cards, perfect for a birthday! Hop over to the next blog! 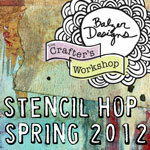 ALL comments from ALL blogs on the hop will be entered into a StencilGirl Talk giveaway, don't miss out! Beautiful use of the cupcake Paula and YES so funny that you are using the cupcake :) I think your title and the picture of the girl is the PERFECT accompaniment to the cupcake! wonderful colors. This was great! 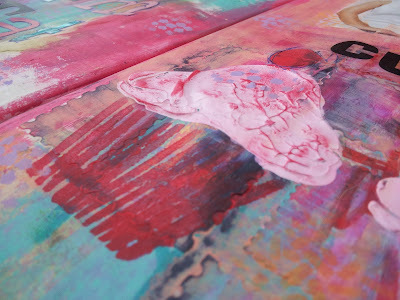 Fabulous art journal page! Love texture on the cupcake! I love this stencil. Who wouldn't love cupcakes. Thanks for sharing. Ha, love your art from this stencil! Thank you for my morning giggle. Love the way you have used the cupcake stencil. Couldn't you just gobble it all up?? (perhaps not to tasty?). Eat more cupcakes! These look luscious! That icing reminded me of the meringue toppings my Mother-in-law used to make. So delicious. Yet, yours are calorie free. Thanks for sharing your techniques. Paula, I always LOVE seeing your creations! I want to reach into the computer and take a bite of those yummy cupcakes. There's nothing like cupcakes with pink frosting...and yours are calorie-free! Love it! I love the textured icing Paula! What a brilliant idea. I am tempted by the frosting on your cupcakes as well! Your background is beautiful. That certainly worked well. Versatile stencil. Truly yummy texture on that cupcake! Thanks for this opportunity to enter the giveaway. New techniques always good. Thanks for sharing. You're cupcakes look scrumptious! Thanks for sharing your techniques with us. Love a good cupcake :) I think I have the same "and" sticker somewhere - great way to use it! Yummy use of a fun stencil! Great sentiment, too. Love all the different textures. Delightful project! 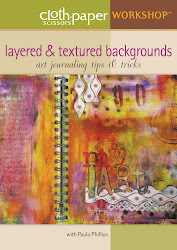 Love the colors and textures the layering is wonderful. Thank you for sharing. Lovin the cupcake usage so far! love your journal pages. The colors are perfect! Scrumpious! Love the texture the modeling paste gave to your topping - yes, I was drooling and wanting a chocolate one!! Thanks for the inspiration! Keep up the good work on your weight loss journey! 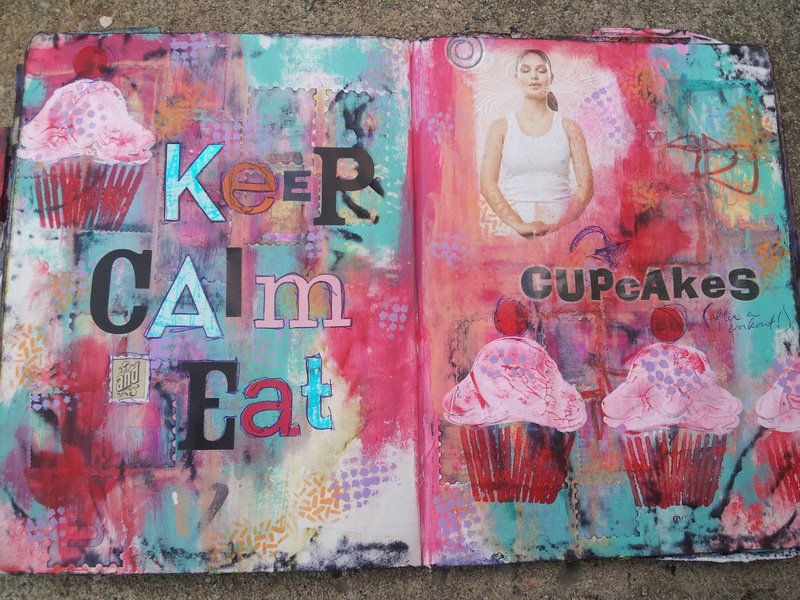 Love this journal page! How fun! Fun layout! I really like the use of the modeling paste. Modeling paste is so much fun! I just watched a friend use spackle instead of modeling paste. I can't wait to try that, too! That pink icing modeling paste is brilliant!! 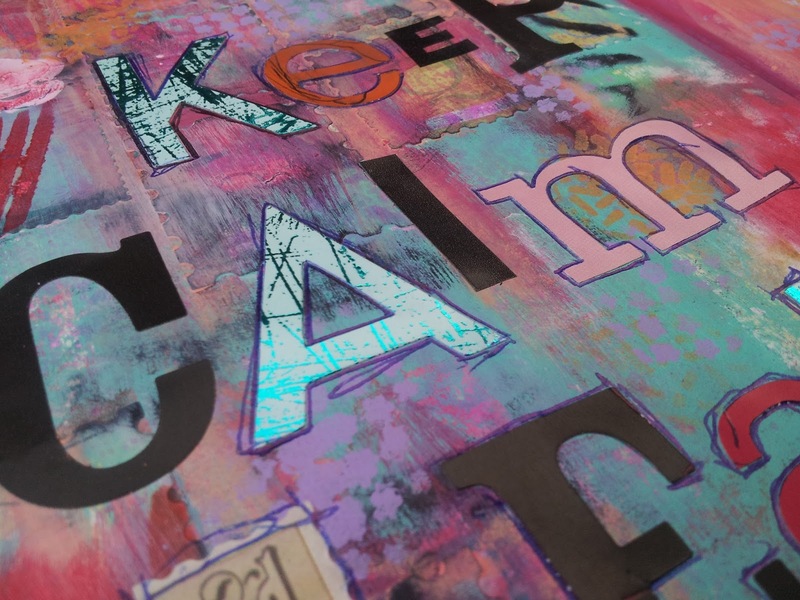 Love the look of that texture with the graphic letters! Great journal pages!! Love the use of modeling paste! 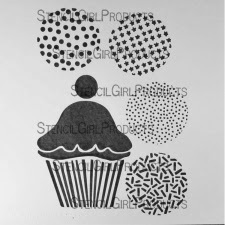 Cute cupcake stencil! The texture works so well! Thank you for sharing these techniques. I just bought modeling paste a couple of weeks ago, so I can try this for the first time. So sweet ! You are my go-to artist journalista Paula !! Keep calm and eat more cupcakes!!! Yippee! It's amazing how versatile these stencils are. I wouldn't have thought of using the cupcake topping as an icecream. I'll look more carefully at the next stencil I buy and see what else I can change it into. Paula, they look yummy. I'm still on my weight loss journey, too.... down 70 lbs. My Pandora bracelet is beautiful... thanks for the inspiration! So glad to see you back.. and cannot wait to see you back on ustream.. you are truly one of the biggest reasons I started art journaling!! TFS and going step by step with the stencil!! 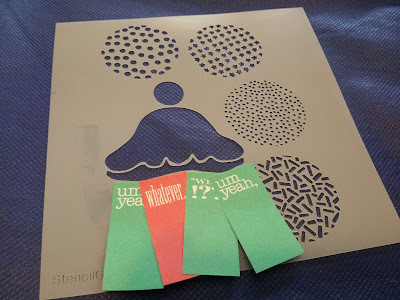 Paula, I love what you did with the sprinkles stencils, they are wonderful! Can't wait to see you again on UStream! Wonderful job, loved the pictures. Great colors and I love the idea of molding paste for frosting it looks so real! I can't eat cupcakes either but these look delicious :) awesome page and lettering too! Love the molding paste! Great journaling pages. 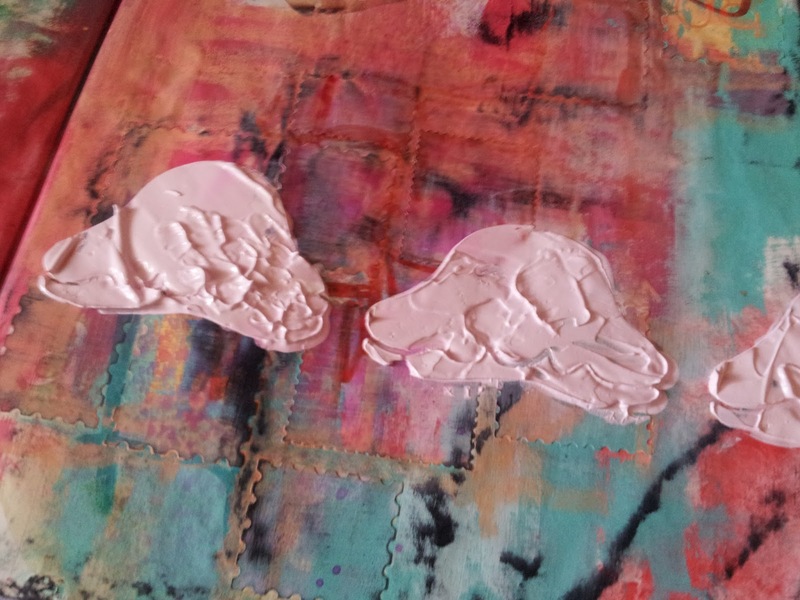 I use wood icing for texture - will try wood icing in this stencil. This is amazing! and I love the colors. I wonder what type of Artist Paint do you use to create this. Love the look and the texture. Makes me happy!